The new Abu Garcia Ambassadeur C-7000 multiplier reels are stronger, better and more hard wearing than any other reel that Abu have designed. 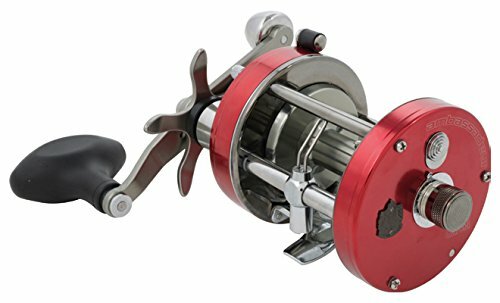 The C-7000 reels features a new drag system using Teflon drag washers meaning these reels have the power to land the fish of a lifetime, everytime!Corrosion resistant instant anti reverse bearing. Duragear brass gear for extended gear life. Line out alarm. Power Handle. Available in Right & Left hand wind.